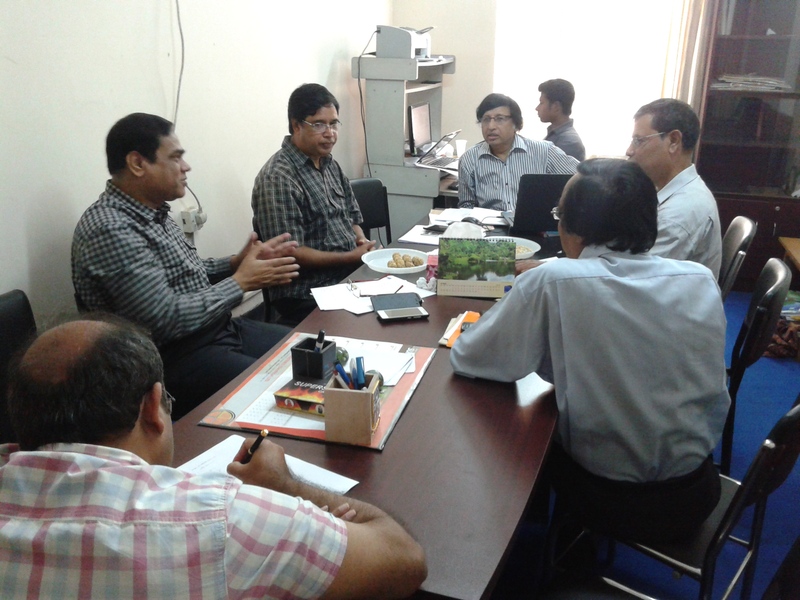 Meeting of the Executive Committee of Bangladesh Archives & Records Management Society (BARMS), 24 October 2015, Dhaka University. Today’s meeting of the EC BARMS at 11 AM at Dhaka Varsity has as most important subjects the seminar of 29 November on archival development of Bangladesh with special reference to local archives, the launching of the website of BARMS and the adoption of The Archival Act of 2015. Suggestions by drs. 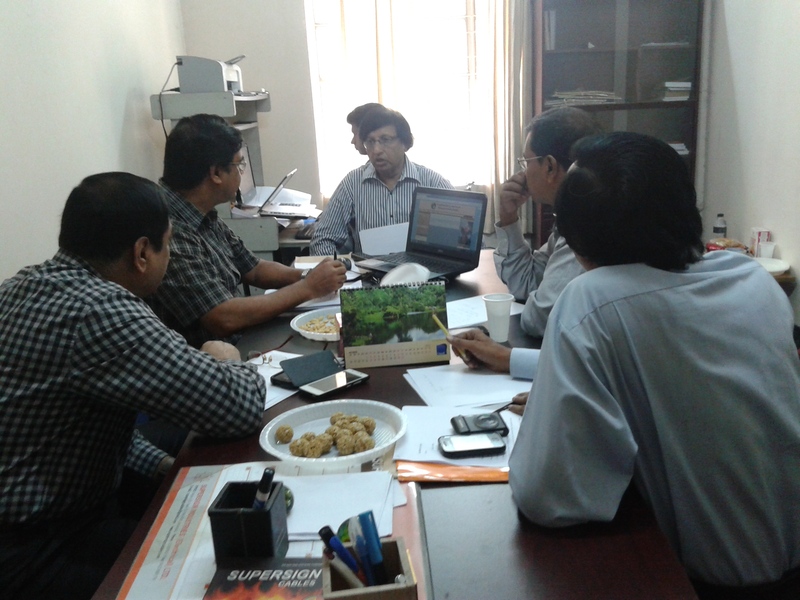 Florus Geraedts (Dutch BARM) is to add the subjects of the International Conference on Archives & Records Management (ICARM 2016), further cooperation on archives movement network with Friends of Archives Bangladesh (FAB) and Bangladesh Archives and Right to Information Committee Kishoreganj (BARTICK), Sardah Bangladesh Police Academy, Heritage Archives Kazla Gate Rajshahi, Information Science and Library Management (ISLM) and Computer Science & Engineering (CSE) Departments of Dhaka University, Rajshahi University, Shahjalal University of Science & Technology, International University of Business Agriculture & Techonolgy, Daffodil, Oasis for Posterity and ORIF (Nilphamari, Balagram, Jaldhaka). Suggestions by Lt. Col. (rt.) Lutful Haque (FAB) is to link website of National Archives Banglades, Heritage Archives Rajshahi website, Dutch BARM blog, FAB Facebookpage and any other website working for the development of ARM in Bangladesh to the newly established website of BARMS, the inclusion in the seminar of 29 November of the low standards of archives and records management in Bangladesh due to lack of proper archives legislation and addition of professional and practical articles on ARM to the souvenir. 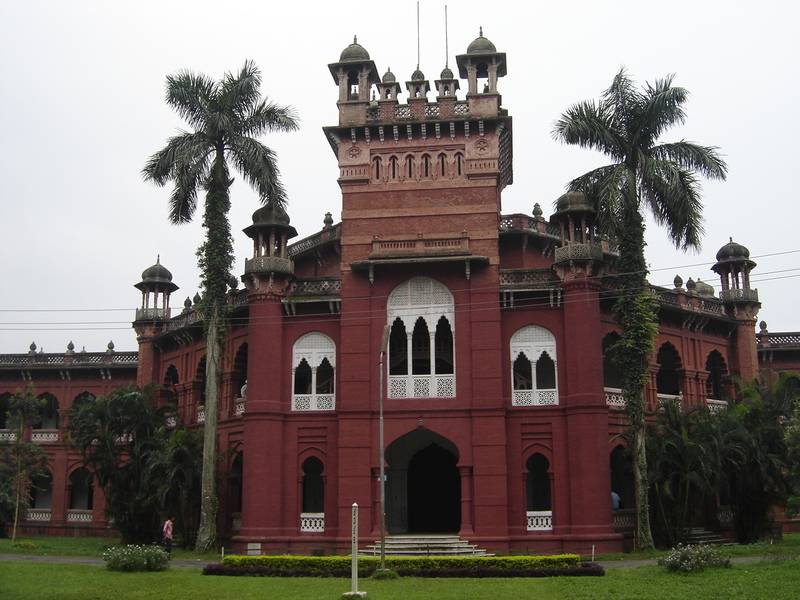 Suggestions prof. Mahbubur Rahman (Heritage Archives & RU) for the half day seminar on 29 is to select record rooms to present their present conditions at the seminar (f.e. Rajshahi, Rangpur, Dinajpur, Bogra, Pabna) and to circulate a copy of the propose Archival Act for the BARMS members to give their opinions. The draft programme for the seminar on ARCHIVAL DEVELOPMENT OF BANGLADESH WITH SPECIAL REFERENCE TO LOCAL ARCHIVES to be held on Sunday the 29th November 2015 at 2-30 PM at the BEGUM SUFIA KAMAL AUDITORIUM, BANGLADESH NATIONAL MUSEUM.